Portfolio Agility can be defined as the ability of an institution to respond quickly to the portfolio changes and to balance and optimize its capabilities according to the changing portfolio needs. Most entities should definitely implement agile principles and practices at the portfolio level for an effective Corporate Agility, otherwise the agile transformations of the organizations would be blocked at a certain point. 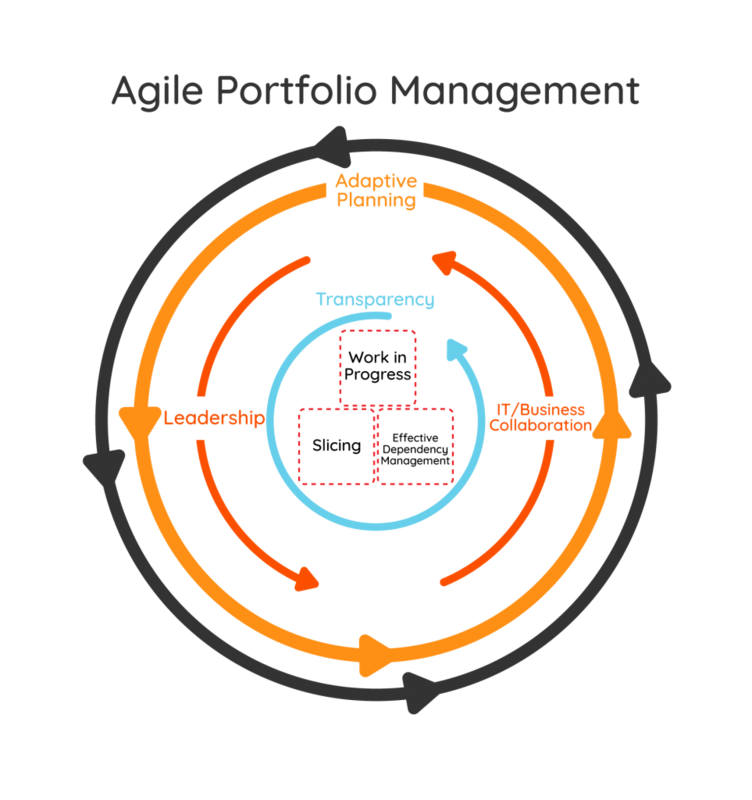 Agile Portfolio Management Model of ACM is built on the implementation of several Agile principles and practices at the portfolio level. As indicated in the image on the right, Agile portfolio management is effectively accomplished with reducing the works, effective dependency management, limiting the ongoing works, leadership at every level, and IT-Business cooperation. The foundation of our approach is transparency and more frequent planning (Adaptive Planning). Planning at portfolio level requires some preparations beforehand. The main objective in the planning which involves all the stakeholders and teams is to be able to quickly respond to the changing portfolio changes. Garden is the name we give to the events where all the stakeholders and teams come together at periodic intervals for portfolio planning. The main objective is to increase the frequency of the annual planning carried out by the entities, and update our plans according to the portfolio changes throughout the year, status of the completed works, and the feedback received from the market. The event requires a good preparation level for speeding up the discussions and decisions, using time in a more efficient manner. One of the most important inputs of the event is the consolidated Enterprise Backlog. During the event, each team plans what it can complete until the next Garden based on the enterprise backlog. The event also allows the teams to synchronize their planning so as to optimize the output by taking into account the dependencies of the teams. 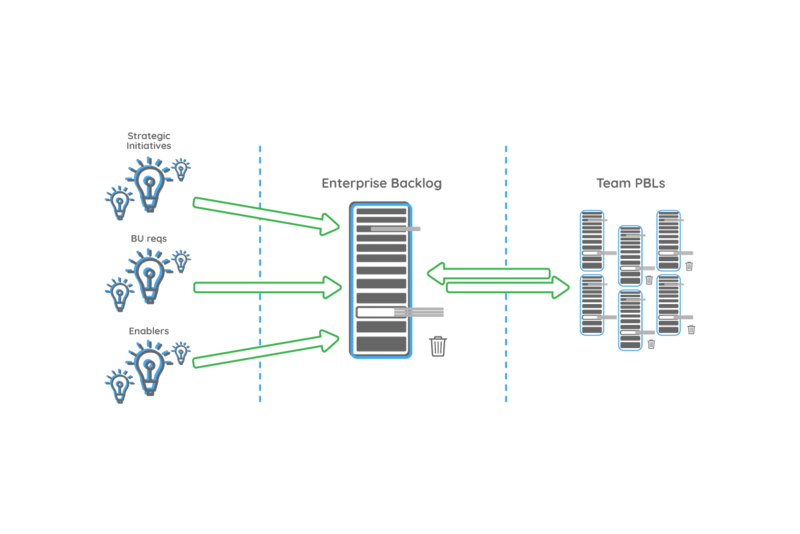 The dependencies are made transparent by the teams and the timing between them is optimized. The Garden events which are also attended by senior management significantly accelerate the decision processes at portfolio level. Finally, the event requires a good facilitation prior to and during the event. Hence, a facilitation team needs to be formed for a successful event.